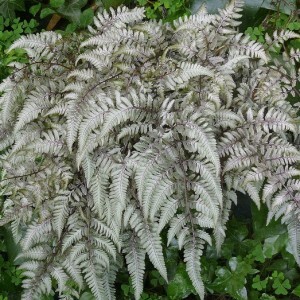 Athyrium is a sort of long-term ferns belonging to the family of Dryopteridaceae, and which is earlier carried to the family of Athyriaceae. Representatives of this sort meet in various corners of the world, mainly in the Northern hemisphere. In the nature these plants live in shady and damp districts, the woods, on hillsides and near various reservoirs. The name of the plant has old Slavic roots: the word "kochedyg" means "a big root", this part of a plant in the ancient time attracted to itself most of all attention. Medicinal and magic properties of a rhizome of the most widespread type of this sort. It was considered that by means of a root of this plant it is possible to impose damage and a malefice.